» Guardian Of Earth - Kami is the official title of God of the Earth. Piccolo was the first official guardian of Earth that we see. He observes Earth from high above on his tower he calls "Kami's Lookout", which is located high above Korin's tower. Later in Dragonball Z he fuses with the other half of himself, and resigns from the Guardian of Earth. Because of this, Goku travels to New Namek and picks out Earth's new guardian, Dende. Mr. Popo is the assistant to all Kamis and has been for thousands of years. » King Yemma - He is a large ogre who decides who goes to Heaven and who goes to Hell after a person dies, he is also the boss of Kami. He also decides if someone is worthy enough to travel Snake Way and train under North Kai. King Yemma was the first person to travel Snake Way, and was once a student of North Kai. » King Kai - Each Kai is given the job of controlling a particular quadrant of the galaxy we live in, The Milky Way. The Kai that is focused on most of the series is North Kai. North Kai controls the North quadrant of The Milky Way, and one of the planet in the North quadrant is Earth, hence why North Kai is focused on most of the series. North Kai has also taught many of the Z Warriors valuable techniques, such as the spirit Bomb. » Grand Kai - The Grand Kai rules over the four Kais of the Milky Way. Grand Kai holds a tournament in Otherworld, which Goku ends up winning. The prize was to be able to fight with Grand Kai, but since Grand Kai hasn't fought in a while he didn't want to look bad so he made up an excuse not to fight Goku. » Supreme Kai - These guys rule each rule over a quadrant of the entire universe. Buu kills North and South Supreme Kai, and absorbs the strongest Supreme Kai, West Supreme Kai. As Buu was about to kill East Supreme Kai, Buu is stopped by Grand Supreme Kai. Thus, East Supreme Kai becomes the last surviving Supreme Kai, and later helps in Majin Buu's complete destruction. » Grand Supreme Kai - As with Grand Kai, Grand Supreme Kai rules over other Kais. Grand Supreme Kai, rules over the ENTIRE universe. When Grand Supreme Kai saved East Supreme Kai, he was absorbed by Buu, and in turn, becomes Fat Buu. Because of Grand Supreme Kai's pure soul and sweetness, it is that reason that Fat Buu is part good. When Gohan breaks the Z Sword, it is then that we meet Elder Grand Supreme Kai, AKA Elder Kai or Old Kai. Elder Kai is the Grand Supreme Kai from 15 generations ago. The reason Elder Kai is kind of ugly is because a witch Potara-fused with him. The witch is also the reason Elder Kai has some of his special powers. Elder Kai takes care of East Supreme Kai once he is freed. 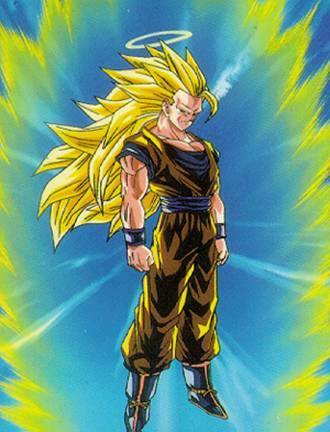 It is thanks to Elder Kai that Vegito was born, and that Goku turned SSJ4.